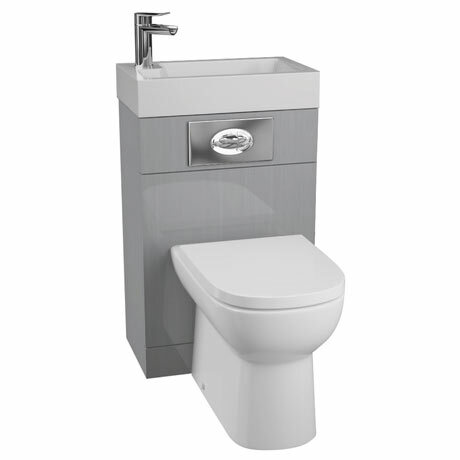 The ideal space saving solution, the Metro Gloss Light Grey combines a toilet and wash basin into one clever solution. The basin sits cleverly on top of the toilet. At 500mm wide, this toilet/basin combo fits perfectly in en-suites and cloakrooms. The Metro's furniture design means that pipework, including taps and cisterns is concealed within the gloss grey brushed effect WC unit, where the toilet flush is operated by a dual flush plate. The unit comes with a removable front panel for fitting flush panel.